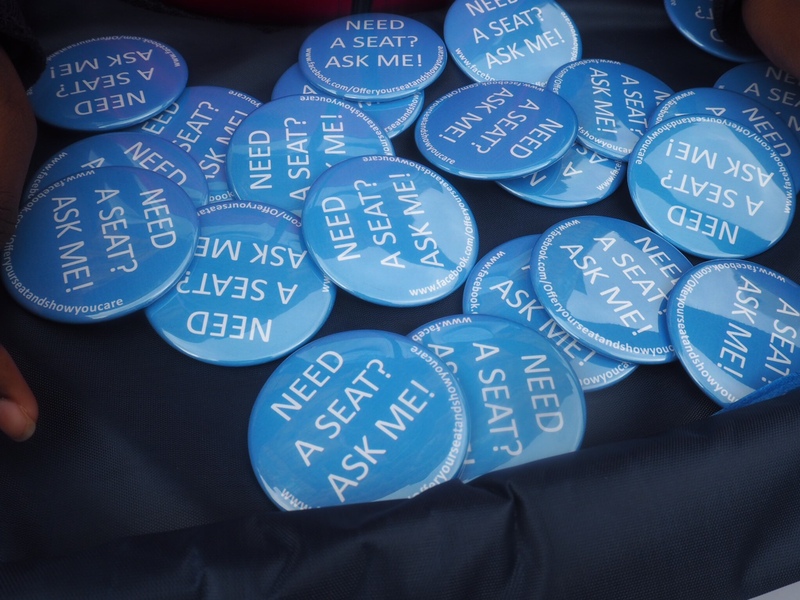 Tune into Radio Carly: Offer Your Seat - the badge commuters wear to show they are willing to give up their seat on public transport. Offer Your Seat - the badge commuters wear to show they are willing to give up their seat on public transport. 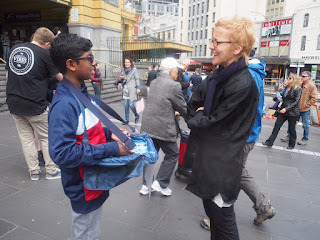 On Saturday morning, I met with 11 year old Anirudh Kathirvel for an interview. 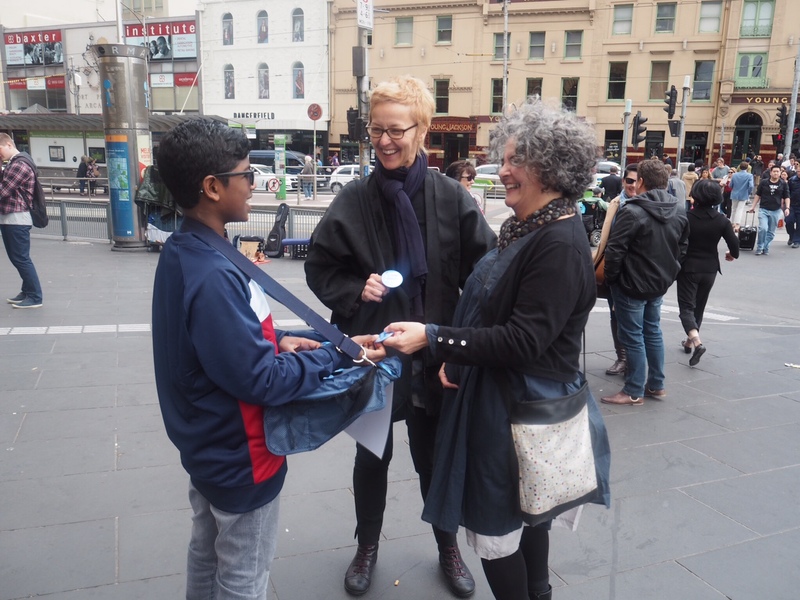 He hands out badges to commuters, for them to say they're willing to give up their train or tram seat to pregnant, elderly and disabled commuters. He's changing the world. This initiative will make such a difference to people like me - I often ask for a seat on the train, and am sometimes ignored and occasionally refused. I am always polite - thanking them before and after they give me their seat, but sometimes it can be a hassle telling people why I need one. I had to meet Anirudh to chat with him, and so I arranged it with his Dad, Prit. I did an interview with Anirudh which you can listen to here. 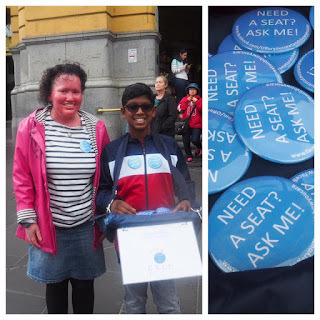 After reading an article about a man in London who made badges for disabled commuters to signal that they need a seat, Arnirudh wanted to do similar. Only, he placed the onus on people who are able and willing to give up their seats. I love this! 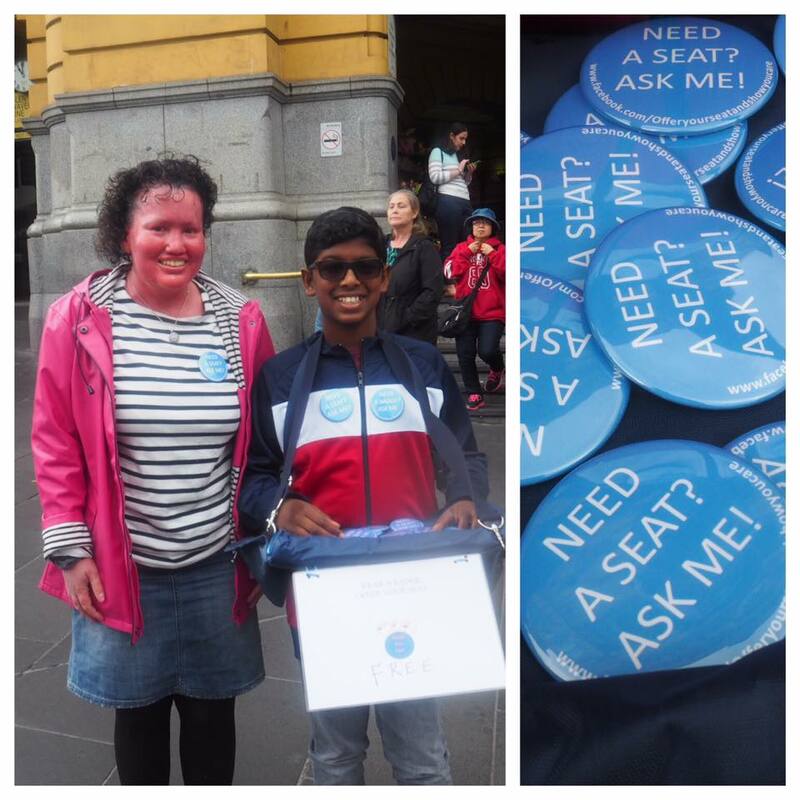 With his birthday money, Anirudh made hundreds of badges and started the Show You Care - Offer Your Seat initiative. 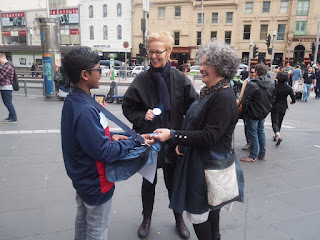 He stands outside train stations handing out badges, talking to them about what they're for. 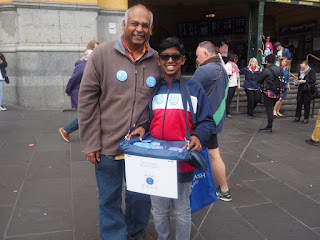 He and his Dad also walk through each train carriage handing out badges. 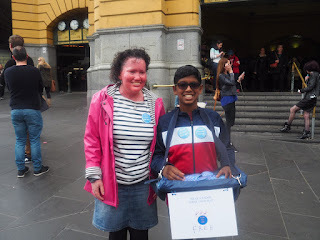 When I met with him on the weekend, I did a quiet cheer when a woman recognised him from a radio interview, took a badge and then returned with her friend to get a badge and chat too. I asked them if I could take their photos for this post, and they obliged. He's had requests for badges from around Australia, and even one in the UK. 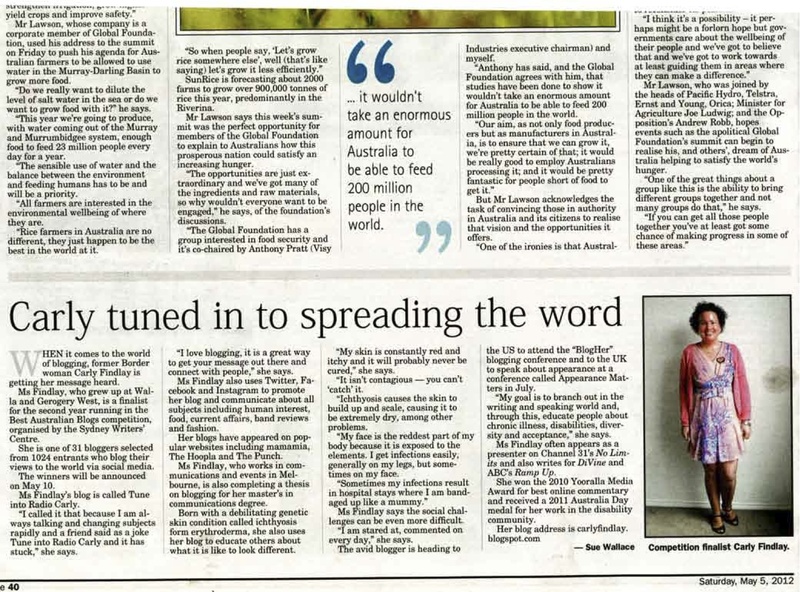 In 2015, Arnirudh won Channel 10's Great Australian Spelling Bee. He said he wants to use his fame for good. A quietly spoken boy, his eyes light up where he tells me about the success the badges have had. He said one woman told him she was hesitant about revealing her invisible disability on public transport, and how these badges have taken that pressure off her to disclose. I asked him whether he thinks people who don't give up their seats to those who need them. Ever the optimist, he said he doesn't think everyone is rude, but he thinks with people's heads are often buried on their phones or books and they just don't notice. Arnirudh already knows what he wants to do when he finishes school. "Study medicine - particularly neurology", he tells me. But he doesn't want to be a practicing doctor, rather, he wants to research how the brain works. He's already stepping foot into university - attending regular public lectures at Melbourne University. He's excited to attend an upcoming lecture on disability - debating whether disabled people need to be accommodated or cured. I didn't ask him his side on the debate, but I'd say that the Show You Care badges suggest he wants disabled people to be accommodated. He has a strong focus on social good - and it's clear from the Show You Care badge initiative he knows that a small thing can make a big difference. As Anirudh stood at Flinders Street Station offering badges, more people politely refused than stopped to chat to him. I asked his Dad, Prit, about whether the rejection gets him down. "It does, but it's a big lesson for him, and for me too", he told me. We talked about how these exchanges are lessons in resilience and patience. 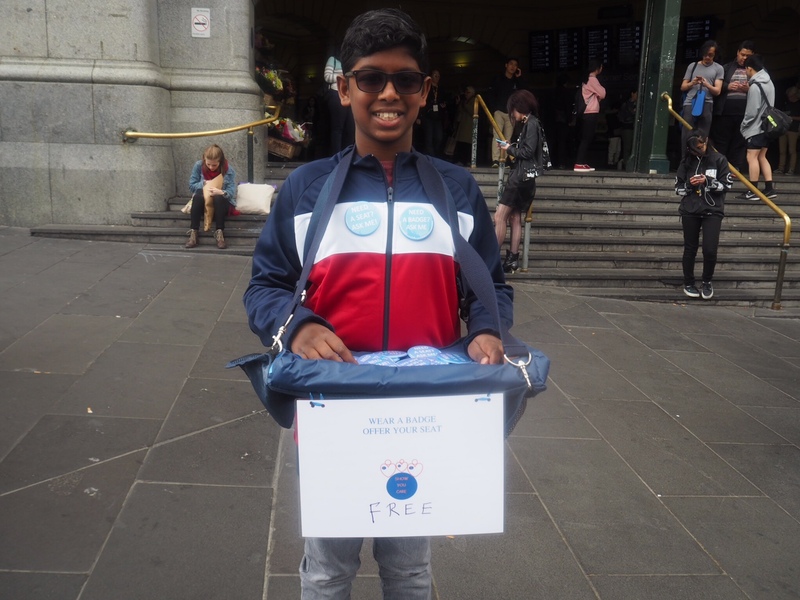 Prit also tells me that this is a reason he wants to get others on board to help - from other commuters being willing to hand out badges, to Public Transport Victoria and Metro to create and allow signage in trains, trams and train stations about the initiative. 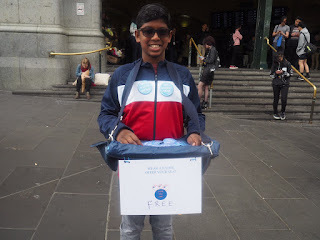 Anirudh isn't selling a paid product, and he really wants to get the message across with posters and a team of people. The interview with Anirudh was so uplifting. I came away so happy we talked. As he said in the interview, he wants to "spread a helping culture" - and he's doing a great job at that, isn't he? Visit Facebook to grab a badge or offer some sponsorship. What an amazing boy. Great hope for the future in him. What an absolute legend!!!! I think people sometimes fear they will insult someone if they offer them a seat and for someone who doesn't take public transport a lot I am amazed at how many people spend the time buried in their screens.